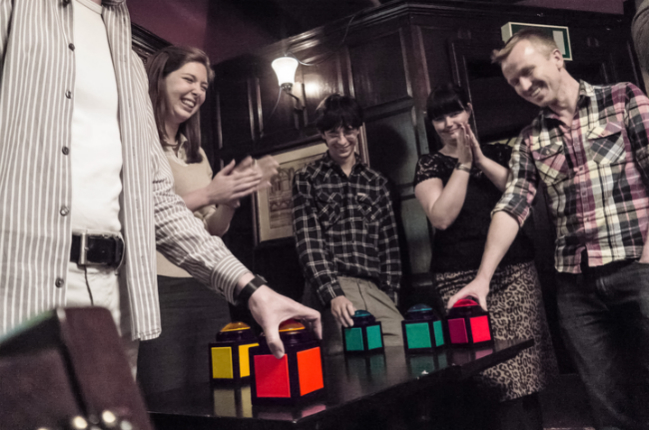 Home of London’s ultimate pub quiz! What would be your specialist subject on Mastermind? Are you a maths mogul? A film nerd or a history buff? Or do you just pride yourself on your skill with plasticine and tin foil? If the answer is ‘yes, yes, YES!’ to any of the above, then join us for a night of nerdy fun and friendly new people. 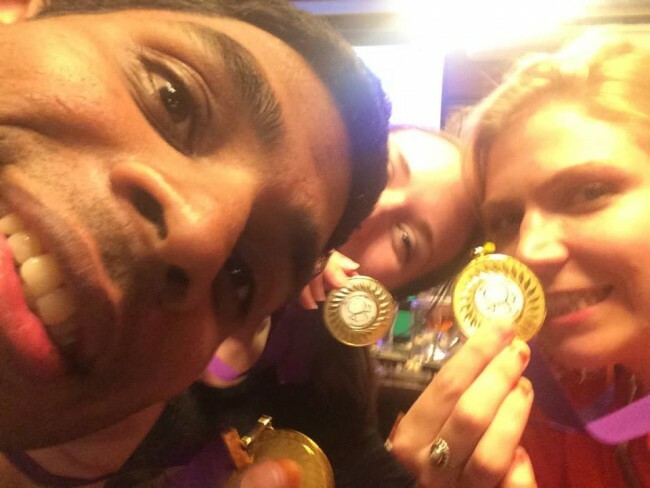 Not one but THREE types of quiz nights! We divide the group into a few teams of five – you’ll be sat with a mixture of new and long-standing members and you’ll have a picture round to get you talking. 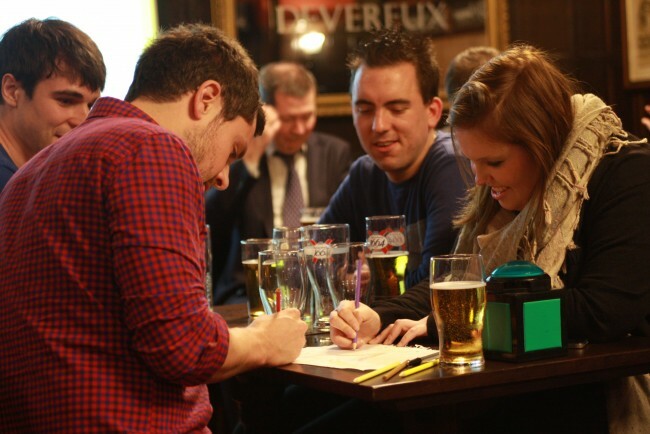 As the name suggests, our gameshow quizzes are more energetic than our usual pub quiz nights. We’ll divide the group into two big teams, with each team taking it in turns to choose from one of four rounds. Choose wisely… the harder the game, the more points you’ll collect for your team. Chatterbox: either talk for 60 seconds on a topic of our choosing without hesitation, repetition or deviation, or battle it out in a Word War with a member of the opposing team. IQ showdown: fact or fiction? Decide between your team for a big bobbing point. Break a leg: act out your given topic using either your own body parts, or your team mate’s. Easy? Er, no. Funny? Oh yes! 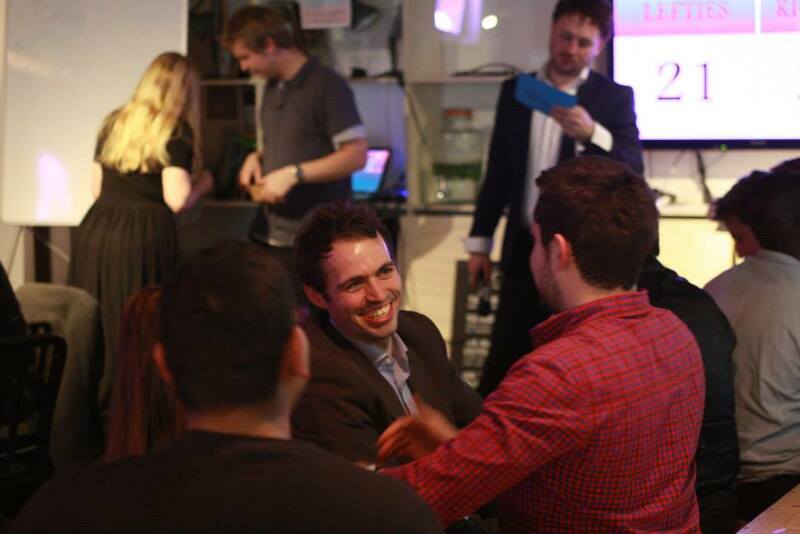 Bring back your childhood with our range of 80s and 90s-themed interactive gameshows! A fun-filled and definitely different way to get your quizzing fix. Bob-busters: A game of knowledge, quick-thinking and of course big yellow hexagons. Wheel of Bobtune: Themed around the infamous hangman inspired phenomenon; spin the wheel and reveal those bright letters to win. Bob’s Break: Strut your stuff around billiard tables to win the ultimate Bob prizes! Is it your turn to win a speed boat? Come and see. Bobseye: Prepare yourself for a game of wit, darts and an average throwing arm as teams compete against each other in knock-out rounds to win your very own Bob! Don’t worry if you’re feeling shy. Everyone comes on their own, and that’s the fun of it – and there will be plenty of team questions and drink breaks so you can get to know one another. Oh and not forgetting drinking bob afterwards, when we’ll get to know each other a bit more. Ready to get busy at a thinking bob quizzy? Where: Pubs, bars and boats (yes, boats!) across London – all within walking distance of a central London Tube station. How much? Join thinking bob for free (first month) and access to over 60 socials per month. Once you’re a member, a ticket to the quiz costs around £5.